IT'S OFFICIAL! 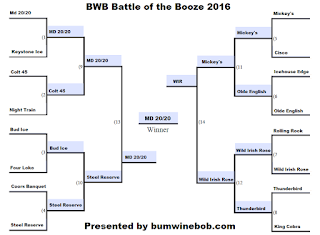 MD 20/20 IS THE 2016 BUMWINEBOB.COM BATTLE OF THE BOOZE CHAMPION! GRAB A BOTTLE AND ENJOY! 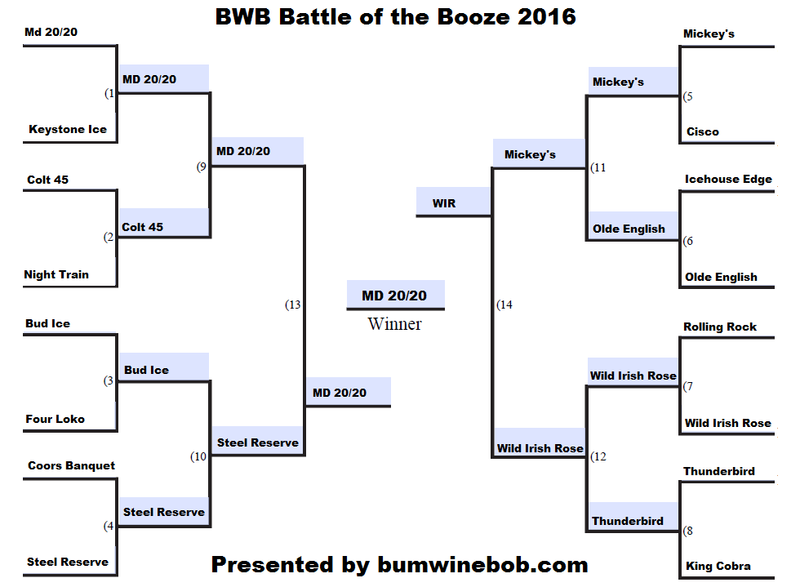 Tune in LIVE this Sunday at 11am ET for a full recap of the BWB Battle Of The Booze Tournament on Bumming with Bobcat! Thanks to all who voted! Cheers!